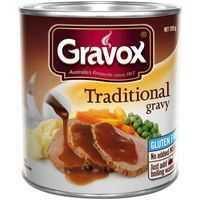 This gravy is so easy and quick to make. Tastes nice and keeps for ages in the tin. I love the taste and lick it off the plate!